Deal management is becoming much easier for real estate professionals thanks to new developments in real estate technology. Apto, a provider of cloud-based deal management and CRM software specializing in the commercial real estate industry, recently announced it had raised $8 million during a Series B round of funding. Leading that round of funding was Adams Street Partners. After completing the latest round of funding, Apto reported it has raised a total of $10.4 million in funding. According to Apto, the funding will provide the firm with the ability to expand sales, accelerate product innovation, and scale operations to meet a growing demand. Apto has grown a client base that includes real estate brokerages across the United States as well as Canada. With the firm's SaaS platform, users are able to build improved relationships with their own clients while closing deals in a faster and more efficient manner. Apto also gives users the ability to take advantage of actionable insights while also managing back-office functions more efficiently. Those insights can prove to be of tremendous importance when brokers need to make well-informed business decisions. Over the course of the last year, Apto has seen its moments accelerate at a rapid pace. At the same time, the firm has reported increasing its revenue significantly. Much of that growth has been fueled by a rapid increase in customer acquisitions ranging from top brands to local firms. Apto has also taken advantage of the opportunity to strengthen its brand position by developing strategic partnerships with solutions providers and real estate networks. Since Apto helps brokers to put their entire commercial brokerage in the cloud, brokers are also able to benefit from the ability to access critical data from any location when they need it the most. Given that brokers are often on the go, this functionality makes it possible for brokers to work far more efficiently without the need to wait to receive necessary information. Ultimately, this makes it possible to close deals much faster. 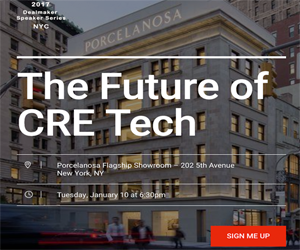 Recently, the commercial real estate industry has witnessed a flurry of activity in terms of cloud-based and mobile technology. Apto is just one of the firms now giving real estate professionals the ability to leverage that technology. Following the firm's most recent round of funding, Apto will now have the ability to continue its reputation in innovation while also offering powerful solutions for needs within the real estate industry. Apto's concept was originally conceived of by veterans within the commercial real estate industry. The firm's platform is designed to provide brokers with powerful, yet completely flexible, tools to improve customer relationship management, back-office operations, and deal management. One of the unique aspects of Apto is that it is designed to benefit brokerages of all sizes. Smaller brokerages are able to benefit from the platform just as much as larger brokerages.